A good policy is to always check the 100-yen shop before buying something from a regular store. 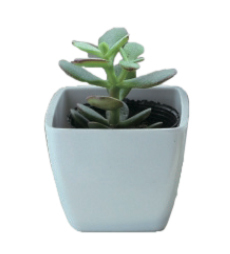 They carry an amazing variety of items and are ideal places to stock up your apartment with dishes, silverware, and other essentials to survive when you first arrive. Buy in Bulk on your phone to find better deals online while you’re shopping at stores, too. I usually use Amazon to buy big boxes of oatmeal or my fabourite cereal that I know I’ll eat and that last for a long time. Not everything is a bargain at the 100-yen shop, especially toiletries and other things that you’ll use everyday. It’s better to buy essential consumable supplies like tissues, detergent or body soap in bulk from stores like Costco. There are several around Tokyo and if you can find a friend with a membership, tag along with them every once in a while and stock up. It’s also a good idea to buy lots of frozen veggies and fruits, as these can be absurdly expensive when sold fresh in the supermarkets. If you can’t make it to Costco, try finding a local wholesale food store such as “Niku no Hanamasa” (there are several around Tokyo) which caters to restaurants and sells meat and seafood at big discounts. To manage bulk amounts of food, I bought a cheap box of 200 plastic bags which I then use to separate and freeze a few weeks worth of meat and fish. to sell their things. I bought a big screen TV and a fridge both from people who lived right down the road from my place. You can search for the item you’re looking for and sometimes even negotiate the price a little as long as you’re willing to pick it up yourself. I sometimes just search the name of my town to see if anyone is selling something locally that’s easy to pick up. This is a great way to buy big items like a washing machine or a stovetop oven. Obviously you should try to cook at home as often as possible if you’re living on a budget. And you should also try to pack a lunch everyday if you can. But sometimes you get invited out and want to have fun. In Japan, it’s pretty normal for a group of friends to share all the food and it’s often (but not always) customary to split the bill at the end of the night (called warikan). The problem is that you end up having to help pay for the five bottles of expensive wine someone decided to order. If your friends are considerate they will pitch in more if they had a lot, but don’t count on it! Your best bet is to go to a place with nomi-hodai or all-you-can- drink (usually for two hours) with a set individual price or to go to a Western-style pub where you pay separately as you order, (called betsu-betsu). You can also just buy snacks and drinks at a convenience store but be careful because it’s bad etiquette to eat and drink while walking around. The children wept as they said goodbye to their new friends, friendships that are likely to last a lifetime because of bonds forged during a special week of camp. Yes, it was an emotional scene at the Takeshiba Ferry Terminal in Tokyo. One I will never forget, but one I hope repeats with other children in years to come. 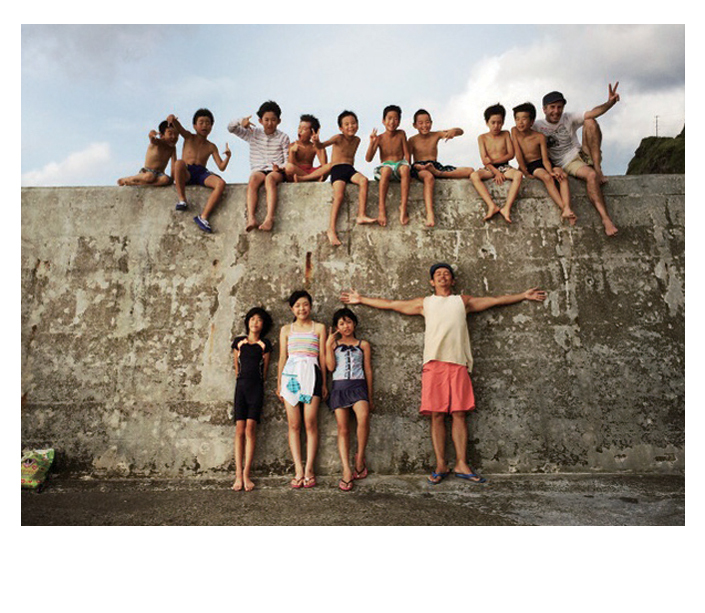 This group of children from Fukushima, Japan, had just returned from the Fukushima Kids Dolphin Camp that was held August 15 to 19 on small, friendly Mikura Island. The group spent the week exploring nature, facing fears, sharing feelings and, yes, swimming with wild dolphins. Longtime friend Toru Fujita and I held the first FKDC in 2014. It is a radiation and expense-free camp for children whose families were affected by the meltdowns at the Fukushima Daiichi Nuclear Power Plant following the Great Tohoku Earthquake and Tsunami on March 11, 2011. Concerned about the radiation, even in those areas where people live and work which are considered safe, many parents in Fukushima have cut down the time they allow their children to play outside. And even though a couple of beaches in Fukushima are now open to the public, many families avoid them. So children like the ones who attended the recent camp no longer swim in their hometown. That’s where FKDC comes in. But before I go any further, I have to answer the question asked most about the camp: why do you hold a camp that features swimming with wild dolphins? I spent two years working as a dolphin swim guide in Hawaii about 20 years ago. I was amazed by the effect these wild, yet approachable creatures have on humans. I believe swimming with dolphins cannot only bring one closer to nature, but also it can bring out courage and confidence. That’s what the camp is all about: giving children the courage and confidence to live a positive and fulfilling life. And let’s be honest, swimming with wild dolphins is a pretty cool thing to do. So, Toru and I and other volunteers set up a four night, five day excursion to Mikura Island, located about 200 kilometers off Tokyo. It is also the stomping grounds of about 150 friendly bottlenose dolphins. It is one of very few places in the world where you can swim with wild dolphins under the watchful eye of professionals. This year we had 13 children attend the camp. The campers, ranging from second to seventh graders, were selected based on essays they wrote about Fukushima and why they should attend the camp. We had dozens of applicants and it was extremely difficult to select who would attend. We didn’t want to turn anyone down, but the budget and space in the facilities we used were limited. For those selected, it was quite the adventure: one that didn’t include their parents. They took a bullet train by themselves from Fukushima to Tokyo, rode a ferry with our camp staff and stayed in a bungalow with other children they had never met. And they swam with wild dolphins. Upon arrival and getting settled in, the campers were given a snorkeling lesson in shallow water. And then we boarded a boat and headed out to sea in search of dolphins. After ten minutes, the captain yelled, “Dolphins!” There was a pod of 30 swimming toward to us. To say the campers were excited is an understatement. Jumping up and down and eyes almost popping from their heads as they stared at these friendly and approachable creatures of the sea, the kids were ready to jump in. 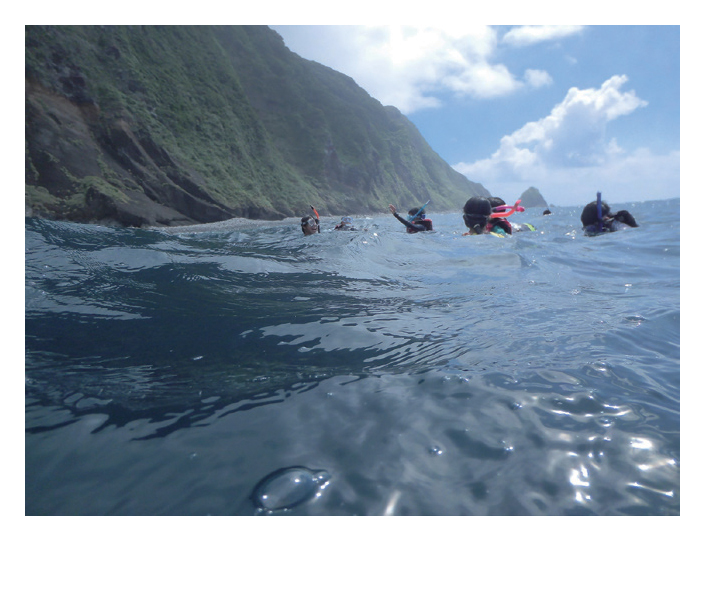 So they grabbed their snorkels and masks, donned life jackets and jumped into the unknown. In the clear blue water, the dolphins slowly approached, checking out the excited children. I could hear the high-pitched sounds of “yeeew, yeeew” that dolphins made. They swam slowly and got within ten feet of our group. They stayed with us for less than a minute before swimming away, but it is a time that will forever be etched in the minds of these children. “I saw a baby dolphin!” one of the campers yelled on the surface. During the entire camp, the children had a blast. They played to the max. They ran in their bare feet, snorkeled in the clear water every day, hiked in the mountains and helped cook meals. But most importantly, they bonded with one another. But the reality of the life they live and the fears they face in Fukushima popped up on occasion. One day during the camp, a local fisherman gave us a good-sized bonito he caught at sea. We made sashimi out of it. “Is it safe from radiation?” one boy asked. Only after he was assured that indeed the fresh catch was safe to eat, did he chomp down on the raw chunks of bonito. As I sat there and took in the scene, I was saddened that these children have such worries and can’t enjoy the sea or the seafood around Fukushima. For the past four years they’ve lived with the constant fear of radiation. I have heard many stories of the healing power of dolphins. And I believe in them. The children traveled far to see dolphins and it took a lot of courage to swim in deep waters with these creatures of the sea. But the trip was more than just swimming with dolphins. It was about exploration, discovery, conquering fears and learning that it’s OK to dream. During the last night of camp, each child stood up in front of everyone and announced his dream. “I want to be the strongest man in the world!” a boy screamed. “I want to be a nurse,” a girl said with pride. “I want to be an Olympic swimmer,” chimed in another camper. “I want to be a volunteer leader,” said another. The campers were no longer timid and shy like when they arrived. They expressed their feelings thoughtfully but vigorously, shouting into the night sky. They had grown. They had formed their own pod. The camp is run with donations received from the crowd-funding websites Indiegogo and Readyfor. More than $8,000 was raised for this year’s camp. Folks from around the world donated, including from the US, France, Holland and Australia. Funds for the 2016 camp are being accepted now. To find out more about the camp, visit our website. Whether you’re staying long or short-term, finding somewhere to stay in Japan can be a daunting challenge especially if you don’t speak the language and have just arrived. For travellers coming to Japan, hotels are one obvious option, but if you’re staying for more than a few nights, you’ll be burning through your travel budget pretty quickly. with other travelers and organise trips together and basically allows you to stay for free anywhere. Then of course there are hostels. Hostels alsooffer the ability to cook, but can often be noisy and sometimes rough or dirty. You also have to be careful about having your things stolen if you’re staying ina room with several strangers. On the positive side, they’re also a great place to meet people and canbe really memorable experiences. I once stayed in a really ratty hostel in Kyoto with about eight people in one room. People came in at all hours of the night and we all had to sleep in bunk beds. There was also a big communal shower room with no place to change. It was a rough couple of nights to say the least. But I’ve also stayed in some really nice ones as well, so make sure you do your research and read the reviews. ahead of your arrival. There’s a deposit of 20,000 to 30,000 yen, but you get most of it back when you leave, as long as you don’t trash the room. The rooms are usually furnished with a bed with new sheets and a desk. The kitchen and bathrooms are shared with your housemates. I’ve actually lived in a guesthouse for the past two years. It’s convenient and it’s fun to meet the people from all over who come and go. Another advantage is that a lot of guesthouses are conveniently located near big train stations so you can live relatively cheaply in a convenient area where rent would typically be very expensive. Paying rentis also easy because all the utilities are included in one price. Learning to live with other people can be a challenge, but it’s a good experience. of activities every weekend. I would say that for a two- week stay, a homestay would be perfect. Any longer than that, in my experience, seems to be wearing out your welcome. It became uncomfortable trying to be home on time for dinner and I always felt like I had to be careful about making noise or using the shower. 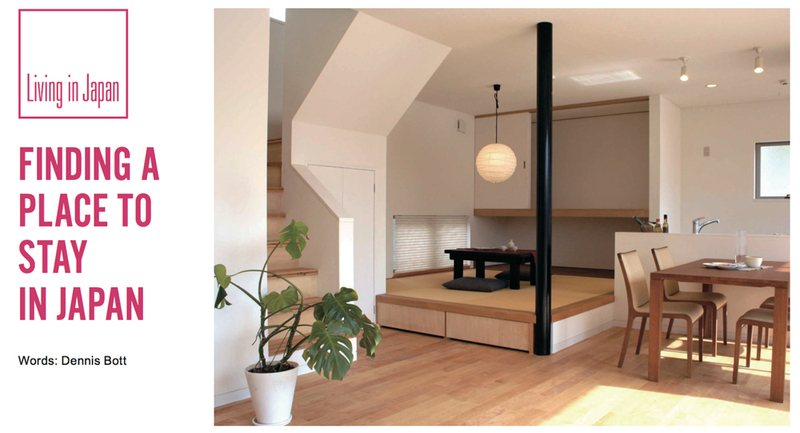 Homestays can also be quite expensive in the long term, but I would say it was a great experience for someone arriving in Japan for the first time. Also, both homestays and guesthouses are ideal places to use as a base while you’re searching for your own apartment. Finding your own apartment presents its own set of pitfalls and challenges. First of all, you’ll need a bank account. But in order to get a bank account, you need an identification card and of course to stay in Japan you need some type of visa, for example a work visa sponsored by your employer. They’ll want to see proof of your income or employment such as a pay stub or a work contract. Even if you have a job lined up before you come, getting everything in order takes time, so I recommend staying in a guesthouse for a month or two so you can take your time to find a good apartment. 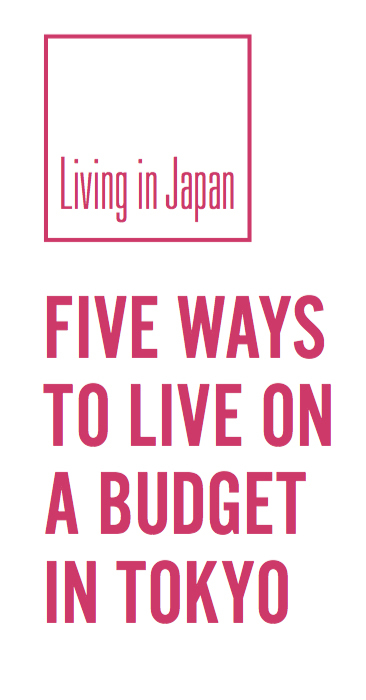 Most apartments in Japan require at least a two-year contract as well as up to the equivalent of one or two months rent or so in deposits and fees. a compromise between price, size or location. Rarely will you find a place that is ideal in all three. You have to decide what’s more important for you depending on your own budget. For me, living in a central convenient location, close to a station and my job is important but I also don’t want to pay a lot for rent. So I decided to sacrifice on space and privacy by just staying in my guesthouse. bat simply because you’re a foreigner. The most common reason is that they don’t want to deal with the language barrier, although in most cases you’ll never have to interact with them personally or even meet them. Most likely they’re worried you will have poor Japanese etiquette such as making too much noise or not disposing of your trash properly. 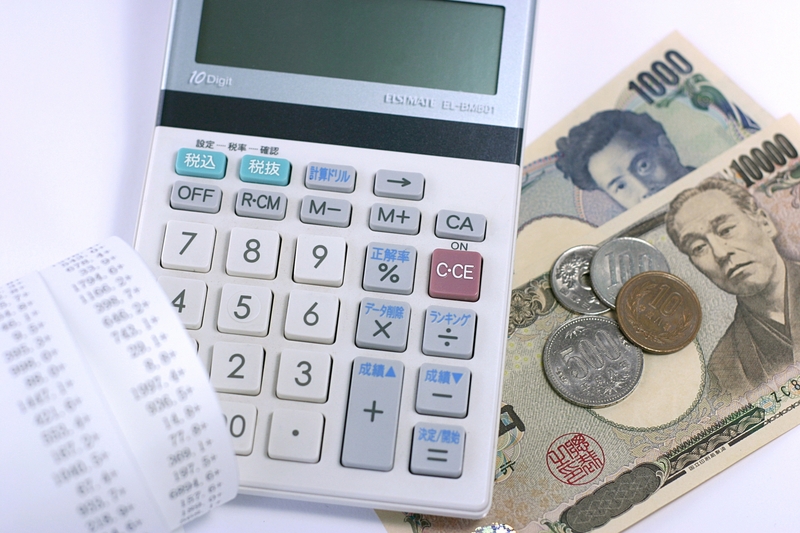 Some foreigners also leave Japan suddenly without paying all of their last bills. Whatever the reason, this is one of the most frustrating parts about finding an apartment in Japan. However, they do seem to be more open if you tell them you can speak some Japanese.